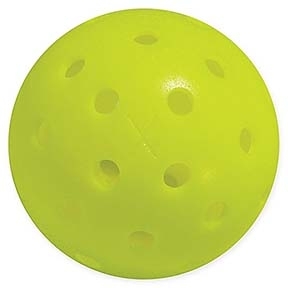 Box of 24 Pickleballs | Sports Tutor Inc. This USAPA approved X-40 Performance Pickleball by Franklin is a premium quality ball that will play well on any outdoor surface. This ball delivers the best in-game flight out of any ball on the market due to machine drilled holes. Yellow.